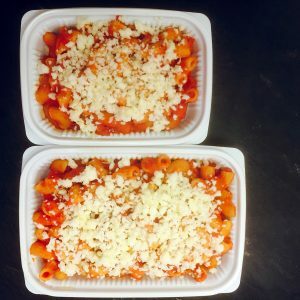 Lucadeli Organic Kitchen will deliver the 100% organic and Natural lunch box to your child’s school for the dates you select. 3 different menus are available each day. Each box will be labeled with the kid’s name, name of the class, menu type and the size of the bento for easy distribution. The children need to bring his/her spoon & fork or chopsticks. Lucadeli will not deliver any type of disposal cutleries. The order should be done on monthly basis. We also accept additional orders by 24hrs prior to the Delivery Time. Ordering Schedule: The menu is uploaded every 15th of the month. The monthly orders should be placed before 25th of every month. Payment — The Payment should be done on monthly basis also and must be done by every 28th of the month. For the additional orders, the payment should be done at least 1 day before the delivery. — Small Size: for 2 to 6 year-old kids. — Medium Size: for over 6 year-old kids. Any additional order should be ordered online before 16:00 a day before even in urgent case. Cancel Policy — The System allows Cancelling only after complete Payment of each Order. The Deadline for Cancel is same as for Order 16:00 a Day before Delivery. After this Deadline you can Cancel, however you will not be applied for Credit. Your Credit will be saved in the System, it will be automatically used with your Next Order. Lucadeli will not credit the lunches in a case that the school decides to close due to any kind of emergency matter. The school needs to inform Lucadeli about the change of the school calendar at least 1 week in advance. Lucadeli Organic Kitchen tries to offer the service that every child enjoys; however, it does not guarantee that the child eats entire meal. *the number of grs are approximate. We use Only Organic ingredients and everything is Homemade. All the menus are free of preservatives, chemicals, colorants nor any kind of additives. The lunch is freshly made in Hiroo every morning at the Kitchen by the chef, and it will be delivered in Warm condition with thermo-bags. The Menus have been carefully studied for years and are kids friendly, well balanced, very healthy and most importantly good taste. Also, we offer a variety of international menus as we know that Kids come from very different backgrounds. All the menus are 100% free of sesame, nuts, white sugar and soba. There are vegetarian menus and lacto-vegetarian menus. The menus with eggs, pork and non-lacto are marked on the menu. In each menu, we include carbohydrate, vegetables, protein (meat, fish, eggs, cheese or beans) and seasonal fresh fruits or homemade baked sweets. The carbohydrate could be rice, homemade focaccia or bread, or pastas. Born in Arona, a town around Lake Maggiore, northern part of Italy where his family taught him the importance of the nature and organic food. After graduating from Instituto Alberguiero E. Maggia Stresa and having worked for Michelin awarded restaurants in France and Italy, Luca became a chef in a fully organic restaurant in his hometown. In year of 2002, he was invited to Japan for a project of developing professional fresh pasta and became a father in 2005. 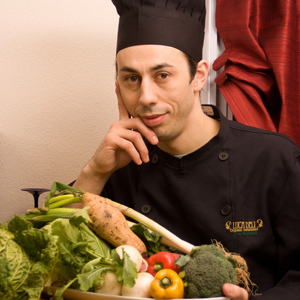 Since then, he started to develop menus for kids using only organic ingredients, and finally decided to dedicate himself for organic culinary, the starting of Lucadeli Organic Kitchen K.K in 2007. Luca toured all over Japan for more than 6 months to select the best organic producers who can supply his 100% organic Kitchen in Hiroo at, Lucadeli Organic Kitchen.